We're thrilled to announce the upcoming release of our latest album (and our 4th album together as a duo! ), The Art of Bach, on the Steinway Label. 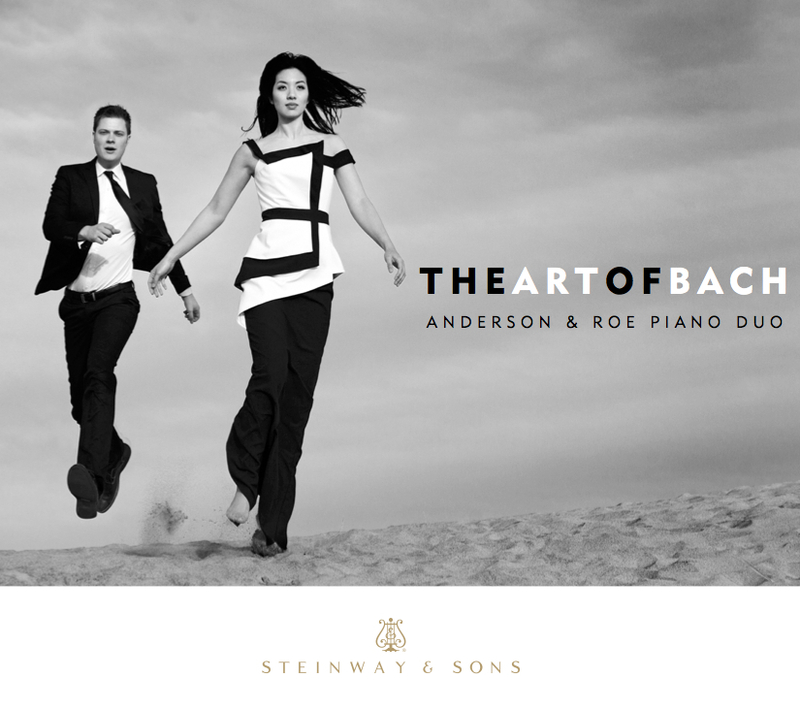 “The most dynamic duo of this generation” (San Francisco Classical Review) offers a unique optic into the infinite genius of Bach on their newest album from the Steinway & Sons label aptly titled The Art of Bach. Spinning out from Bach’s only original works for two harpsichords — the Concerto in C Major and a revised version of the Contrapunctus XIII from The Art of the Fugue appendix, performed here on pianos — the album traverses his secular, scholarly and sacred works offering a vibrant portrait of Bach, who was, among other things, a master of counterpoint, a mathematical trickster and a transcendent spirit with a seemingly direct line to the heavens. The album drops on January 13th, but you can pre-order your copy on ArkivMusic, Amazon, or iTunes. ArkivMusic is also offering an amazing deal: An Amadeus Affair & The Art of Bach together at a reduced price. We're also throwing an intimate release concert in the very city the album was recorded (and in the very city we met, for that matter): Manhattan! Please save the date and join us at SubCulture, Greenwich Village's "music & arts oasis," on February 10th. Read the album program notes here.